The Holy Celtic Church has a special ministry of intercessory prayer for the needs of the church and world, our families and friends, and we would be delighted to pray for you at the daily Divine Office and also if you wish we can say a Mass especially for your intentions. For simple prayer requests please use the contact form below. No donation is expected for this service. For Masses for special intentions we request a modest donation and would be glad to send a Mass card to you or a person you may specify if you wish. 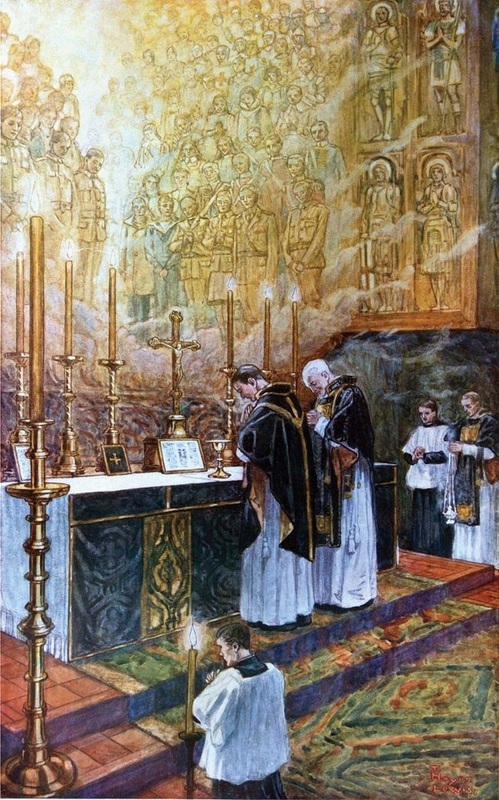 Perhaps you would like to have a Mass said for the repose of the soul of a departed loved one? Or maybe you would like to have a Mass said for a friend's birthday? A Mass can also be offered for any pressing need such as an exam or for recovery from illness. Whatever your intention we are here to assist. Again, please just use the contact form below. In case of hardship we will of course pray and offer Mass for those who may not have the means to donate and will be delighted to do so.